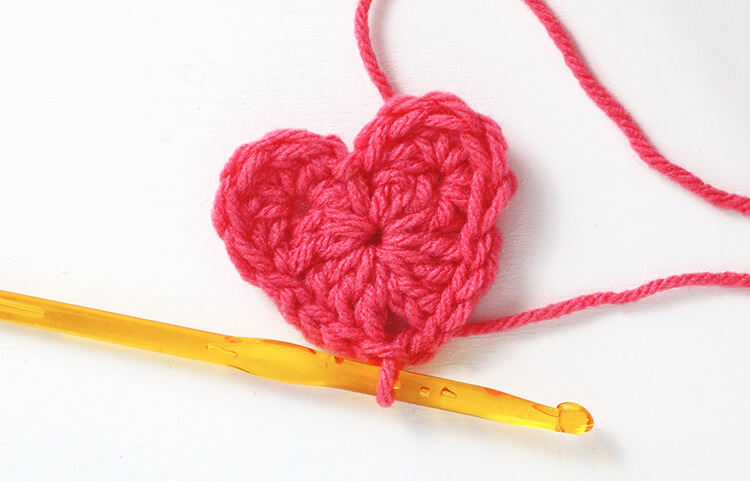 Learn how to crochet a heart! 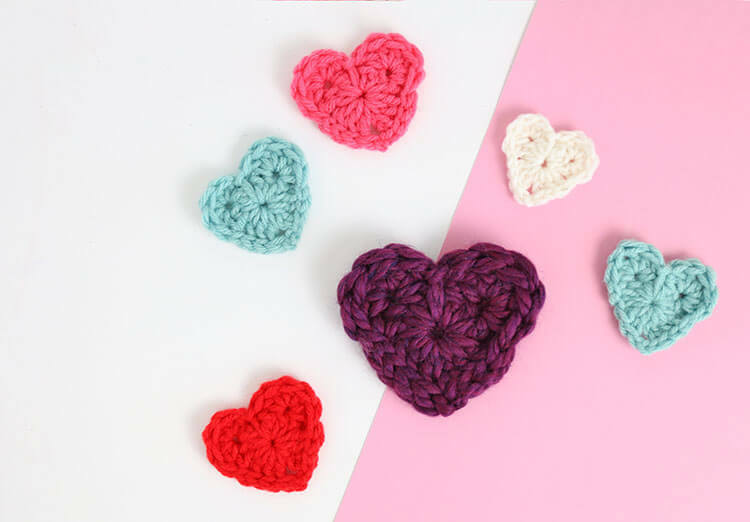 This free crochet heart pattern and video tutorial is a simple way to make a cute little heart appliquè perfect for sweetening up any little project. This post was originally shared at Crafts Unleashed and may contain affiliate links, which help to support Persia Lou. Thanks! Haaaaaaay guys. 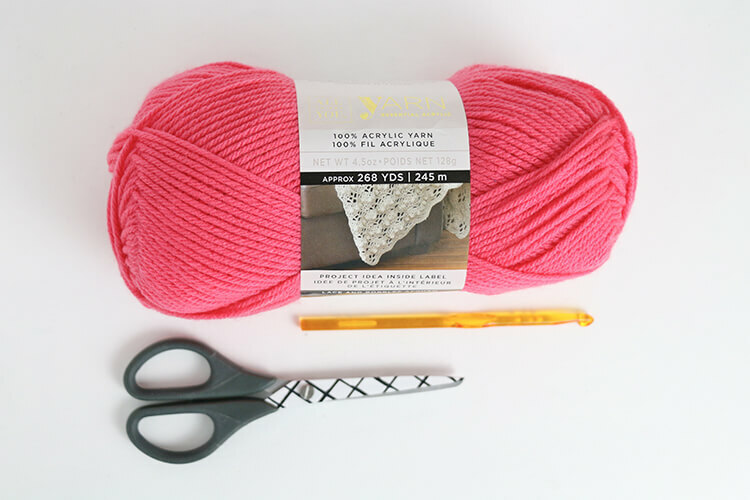 It is the time for all things pink, red, and heart-shaped, and that goes for our crochet around these parts too! 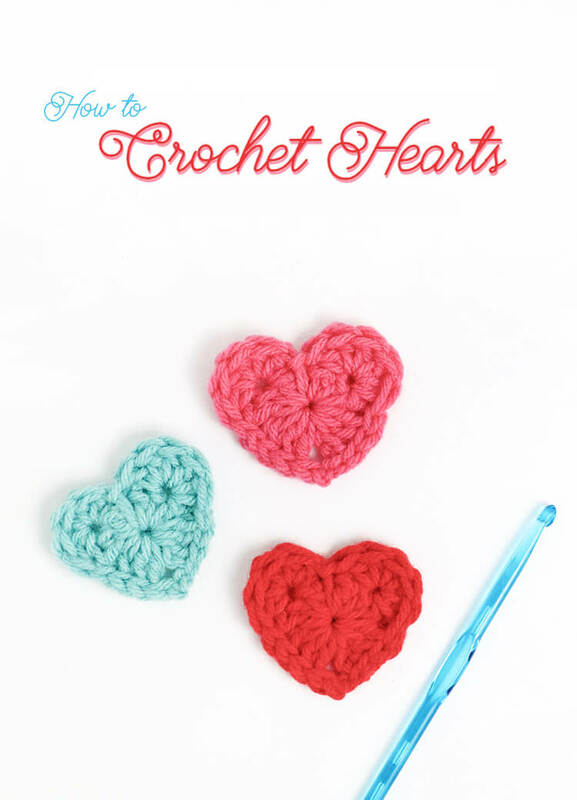 Today I’m sharing a super simple, teeny weeny little heart crochet pattern for you all (I have a video tutorial too, so keep on scrolling if you love the videos!). These little cuties can be used for so many different things too. 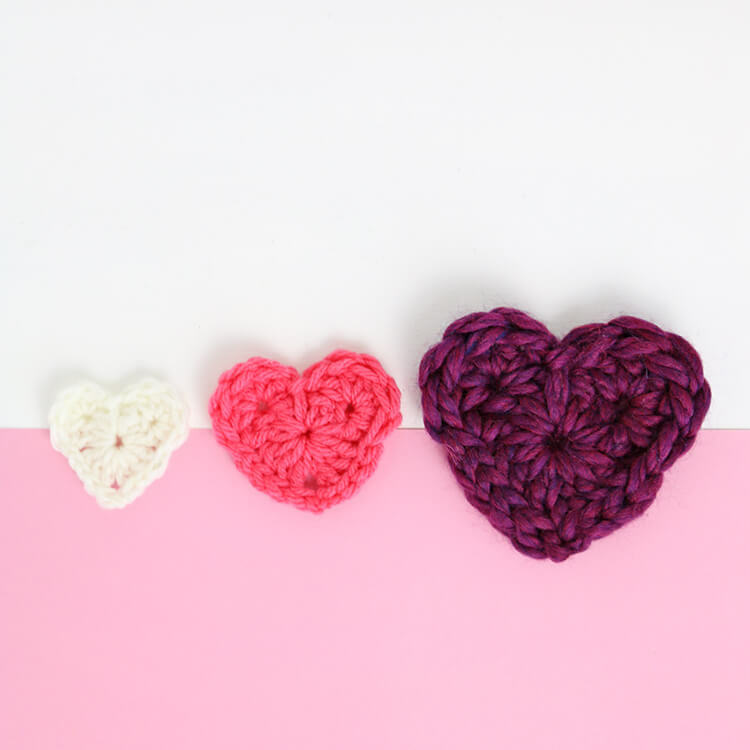 Let’s brainstorm all of the uses for these sweet little crochet hearts, shall we? Okay – glue them on a card, sew one on a tote bag, sew a whole bunch on a throw pillow, add some jewelry findings for a cute pin or pair of earrings, glue one on a hair clip or headband, etc., etc. The list goes on and on. OR, if you like to keep things simple, why not just give the little heart itself to your sweetie this year? Okay, ready to learn how to crochet a heart? Let’s do this! Hook! Use a size that matches up with the yarn you are using. I used a J (6.00 mm) Hook with my medium worsted weight yarn. As with all of my patterns, this pattern is free for personal use only and may not be sold or redistributed in anyway. If you want to share the pattern, please share the link. Thank you! Round 1: Working in magic loop, ch 3 (counts as dc), 2 dc, *ch 1, 3 dc, repeat from * twice, 3 dc, ch 2, sl st to top ch of starting ch 3 to join (12 dc, 4 ch sps). Round 2: Sl st to next ch 1 corner sp, skip 1 dc, 5 dc in next dc, sl st to magic loop (see photo below). Skip 1 dc, 5 dc in next dc, sl st in next ch 1 corner sp, sl st to ch 2 corner sp. Finish off, and weave in ends. 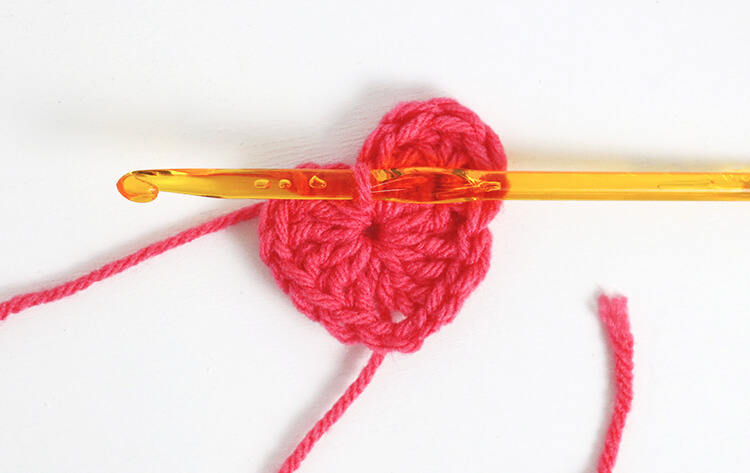 To change the size of your hearts, just switch up your yarn and hook size. In the photo below, I have made three different size hearts with three different pairings: the small white heart is sport weight yarn and a 4.00 mm hook, the pink medium sized heart is worsted weight yarn and a 6.00 mm hook, and the large burgundy colored heart is super bulky yarn and a 10.00 mm hook. 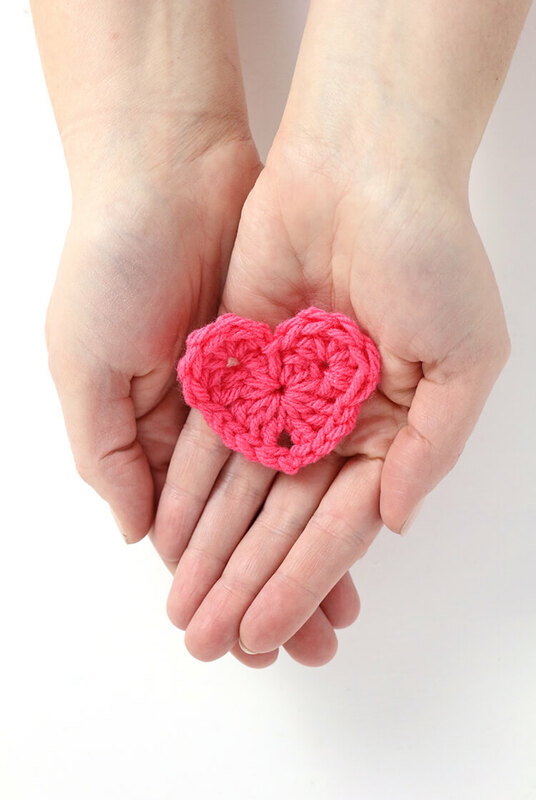 So, now that you know how to crochet a heart, who are you giving your heart to this year? If you use and like this pattern, then I want to see those cute hearts! Your photos totally make my day. You can share them on my facebook page or tag me on instagram or twitter (@persialou). Happy Making and Happy Valentine’s Day! 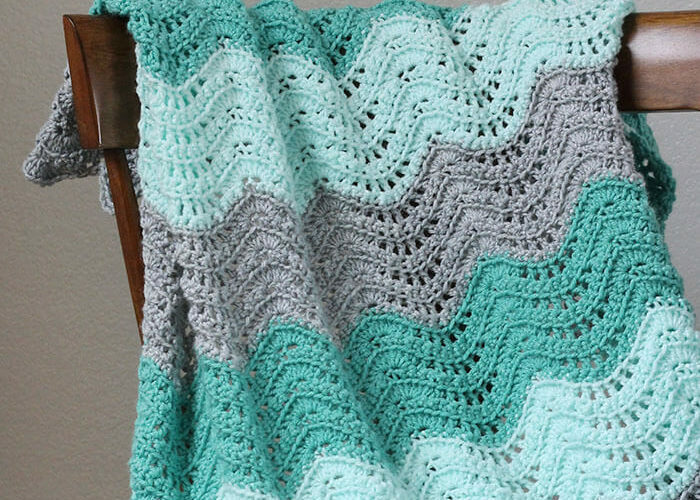 I don’t know how to crochet but this post definitely makes me want to learn! Hi Barb! 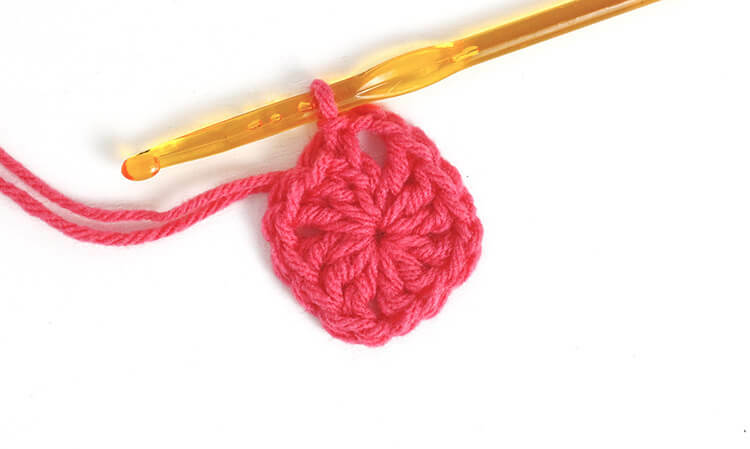 There are so many great free resources for learning crochet, you should give it a try! 🙂 Thanks so much for stopping by and leaving a comment! Great for all my left over yarn. I’m going to attach a few (different sizes) to make book marks for my book club gals. Thanks! I love the idea of putting them on bookmarks! So cute! Is there more info on the “magic loop”? I’m lost! Hi Gina! I have a video tutorial in the works – I need to finish it! Until then, check out this one: https://www.youtube.com/watch?v=pK8vTCcVu-4 Good luck! Hmm… I’m sorry! maybe try leaving the ch sp out and see if that helps? I haven’t crochet since a was a child, you have help me to start again and you have make sooo easy. Now all my family have a hat haha. Thank you!